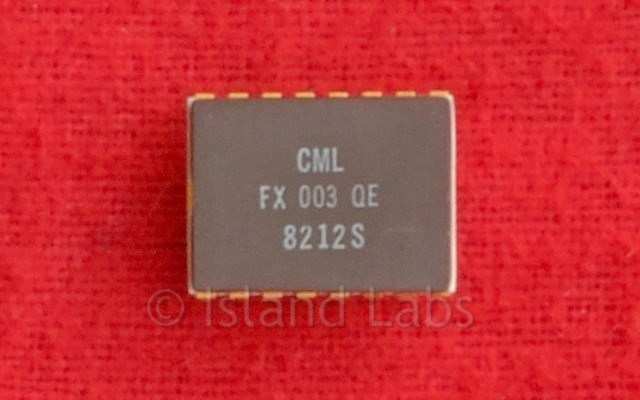 The FX003 is a CMOS QTC (Quadradecimal Tone Coding) tone decoder which may be used to decode Selcall tones in accordance with CCIR, ZVEI, EEA and EIA international tone standards. The FX003 detects if an input frequency is falling within any of the fifteen tone channels programmed on-chip and outputs the hexadecimal tone number in the 4-bit binary code. When a tone is detected, its 4-bit code is latched at the data outputs, and a Data Change is generated. Failure to qualify any tone for a continuous period of 33 ms causes the output to be set to 'Notone' (16th logic state) and a Data Change strobe to be generated. 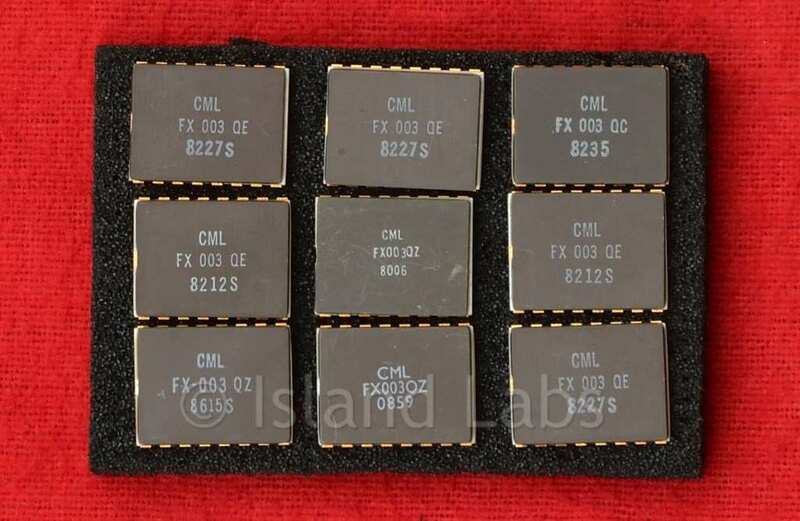 A DATA CHANGE output signals each change in the output code and can be used with the HOLD/ACKNOWLEDGE input to establish handshake routines with microprocessors and other data processing logic. A 'Power Up Reset' (PURS) routine ensures all internal circuitry is correctly reset when power is first applied to the device. Following 'PURS' the FX003 generates HEX 'E' (NO DATA CHANGE) which in turn is followed by a standard decode sequence. The on-chip inverter may be used with a resonator to provide the 560 kHz master clock for the device, or an external clock may be utilised. 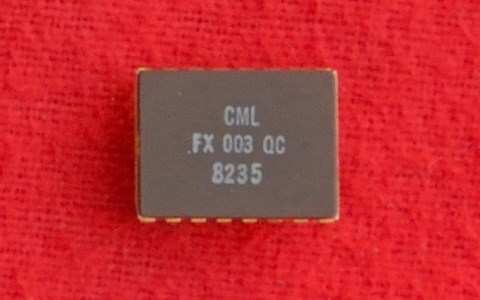 A divided down buffered 23.33 kHz clock output is also provided for use with other x03 devices and trimming of the 560 kHz resonator. 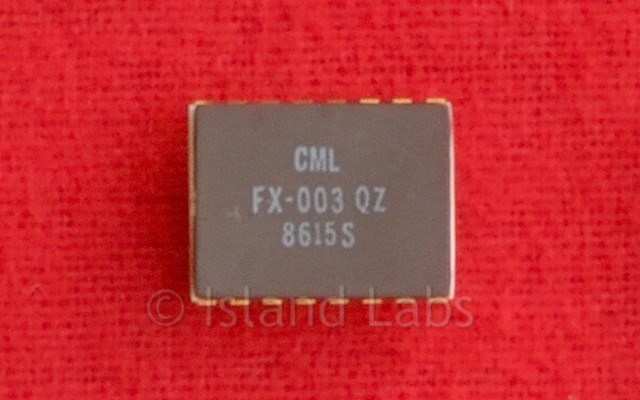 The FX003 is available in a pin-compatible version, each version programmed in accordance with the frequencies and bandwidths of a specified QTC tone-set.